I saw a Ted talk about JOY on Facebook this week and I liked it so much that I shared it. I've gotten some interesting and fun comments in response to it. But my big take away from the idea of this video is one word that stuck with me... Multiplicity. It basically means what it sounds like. It's the repetition or collection of many like things. Think- sprinkles, confetti, and naturally quilts! I totally understand why I like quilts with lots of fabrics cut into lots of pieces. Multiplicity is the reason. I'm pretty sure I need to create a quilt just so I can name it with this word. To see the video at the TED website, click here. The version on Facebook is an edited clip, and you can see it on my page here. I hope that you will look for and find joy in some form of Multiplicity this week. Diane, I wanted to let you know that the link to the TED talk at their website does not work. I would look it up but don't know who spoke. Multiplicity is a great word! 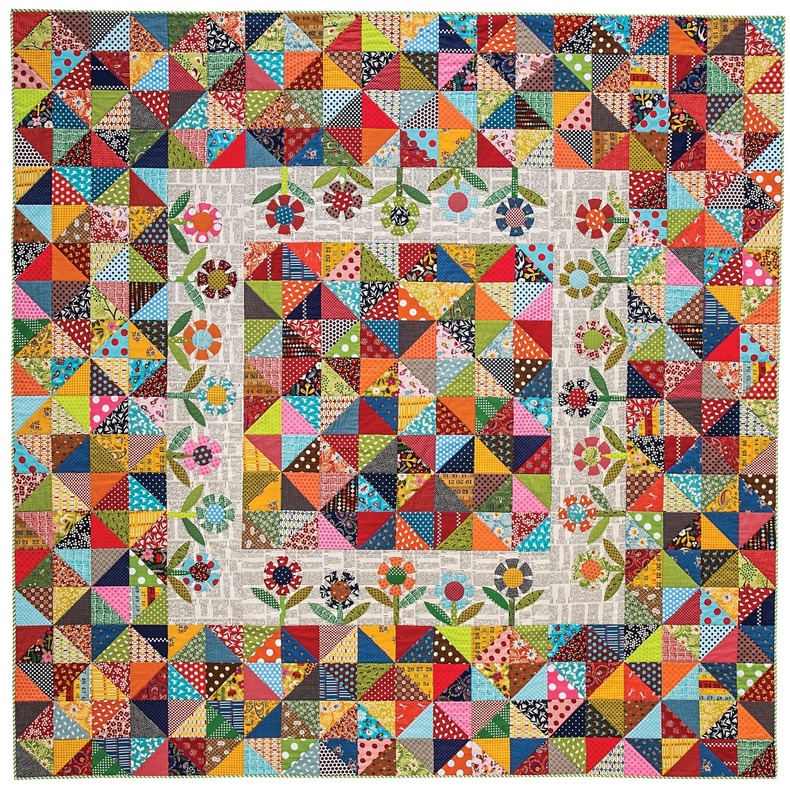 Love this quilt as well as all the others I've seen. Patiently awaiting your next book. Most anyone that has been to my house would say I know Multiplicity well as I definitely am a collector and maker of many things. So much nicer than "hoarder". You need to see the Michael Keaton movie-Multiplicity-it's hilarious!